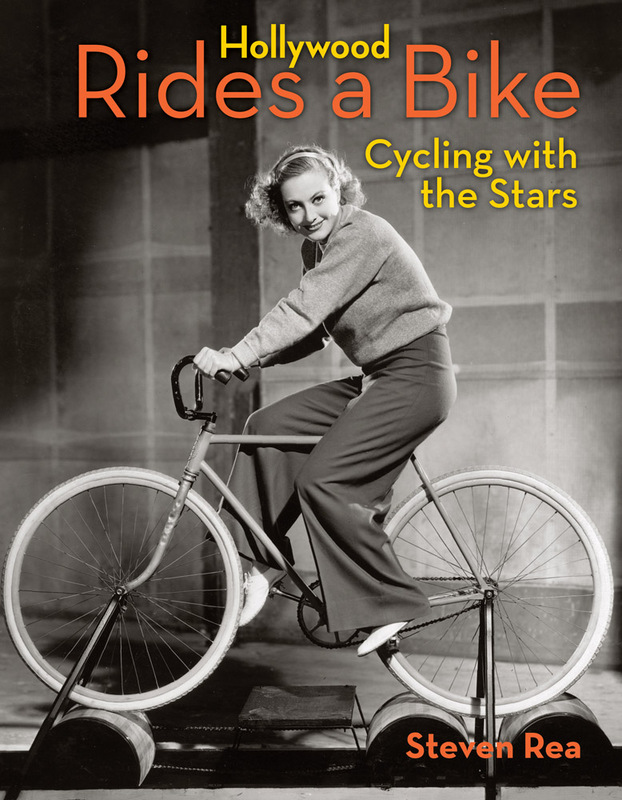 On Monday, April 9 at 7:30 PM, Philadelphia Inquirer film critic Steven Rea will be presenting a live chat/slide show concerning his new book, Hollywood Rides a Bike: Cycling with the Stars, at the main branch of the Free Library. Admission is free. But come on, people!!! Hollywood always knew the appeal of the bicycle! That’s the “why” of film critic Steven Rea’s homage to Hollywood on two wheels (okay, sometimes three wheels), Hollywood Rides a Bike: Cycling with the Stars. 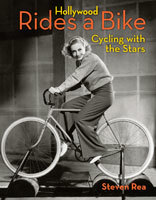 This image-filled tome is proof positive that Hollywood, well, yes, pedaled its wares, long before biking became über-trendy. Rea has assembled the ultimate tribute to twentieth-century foxes and a universal collection of cycles . . . these photos of film folks on spokes are sure to be treasured by fans of all ages, genders and persuasions. Already the leader of the bike pack online with his universally recognized Rides a Bike blog on Tumblr, Rea has preserved the best in Hollywood’s documented cyclology in these pages, never to be lost in cyberspace.